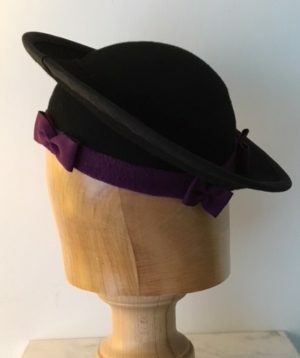 A great favourite American 40’s style half halo hat with small half crown. 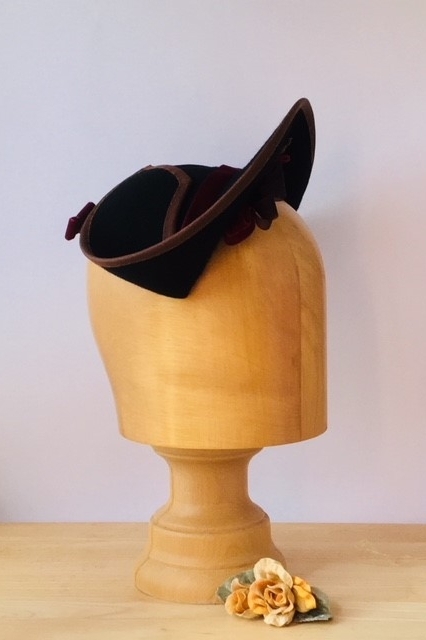 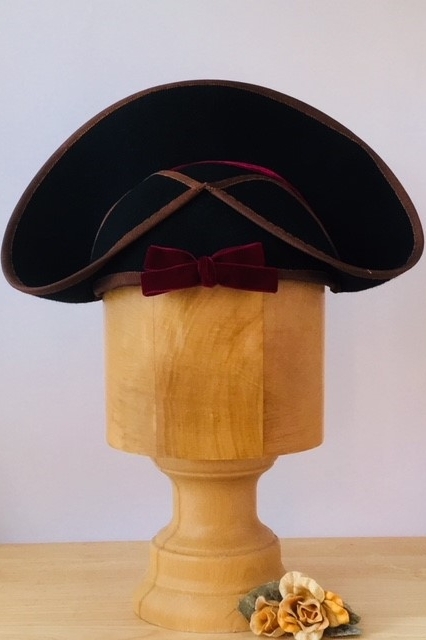 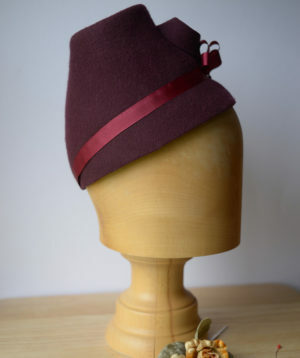 Hat brim is wired and covered in brown petersham ribbon. 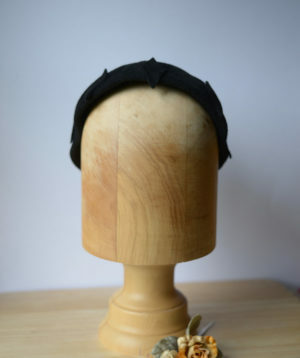 Brim at rear is arranged over crown and secured. 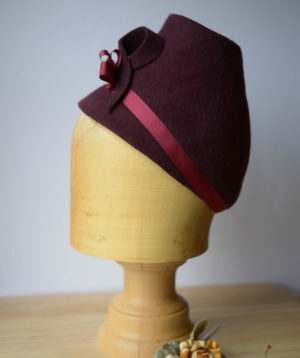 A deep raspberry coloured velvet ribbon covers the wired crown left to right. 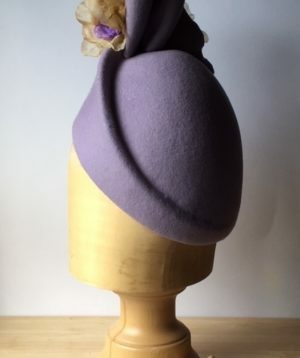 A small motif of raspberry coloured velvet ribbon, deep plum ribbon and feather sit above right eye. 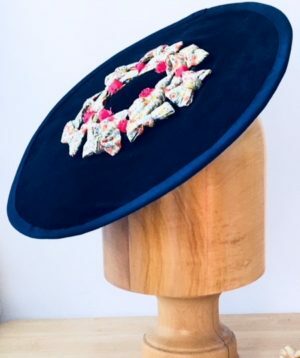 The raspberry coloured theme is continued to a bow at the rear of the crown. 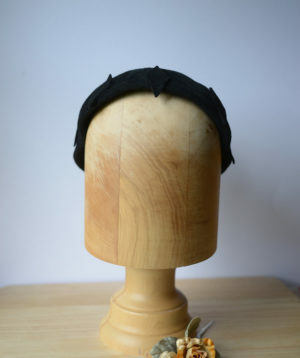 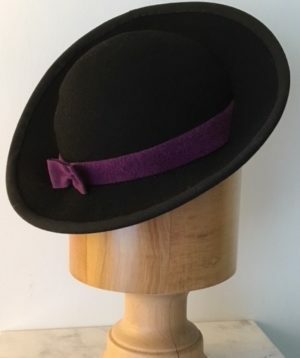 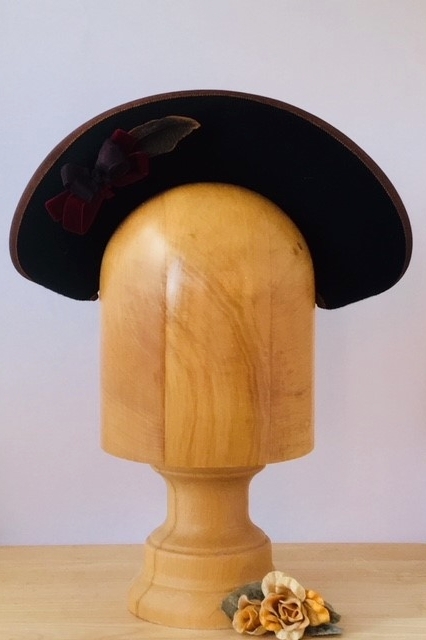 Hat is secured with hat elastic and also small snap clip. 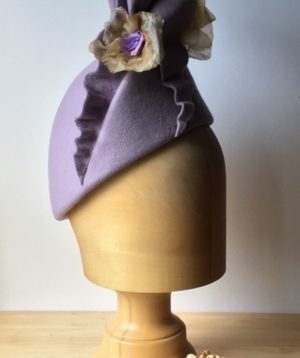 A comfortable hat to wear.